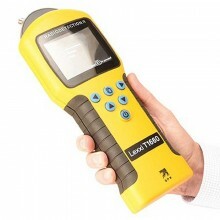 The Riser Bond 1550T TDR is an easy-to–use, handheld entry-level Time Domain Reflectometer for tracing first-line faults. 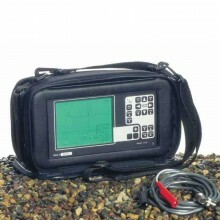 The Riser Bond Model 1550T is a cable fault locator which uses Time Domain Reflectometry (TDR). Electrical pulses are transmitted into the cable, and a portion of the pulse energy will be reflected back to the instrument from cable discontinuities or faults. Model 1550 may be used on any cable consisting of at least two metallic elements, one of which may be the armouring or screen of the cable. The instrument is supplied with one of four test lead options to optimise measurements on 100 ohm twisted pair, 75 ohm coaxial, 50 ohm coaxial or 25 ohm power cable. The power cable test lead is fused and has a blocking filter to allow working on live cables up to 600V rms or peak DC. 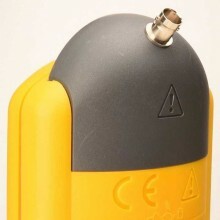 It has been designed with ease of use and accuracy to provide the operator with an unparalleled level of performance to mitigate typical service affecting faults. Ergonomic - comfortable to hold with large, well-spaced buttons. Automatic cable attenuation compensation simplifies use. Narrow pulses give high resolution trace image. Automatic default pvf, impedance and gain algorithm set by cable selection. Ranges: 33ft(10m) 98ft(30m), 330ft(1000m) 980ft(300m), 3300ft(1000m) 9800ft(3000m). Display: 128 x 64 dot-matrix, liquid crystal display (LCD) with backlight. Power: 6AA size LR6 batteries. Dimensions: 250 x 100 x 95 mm. 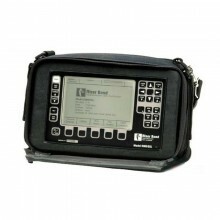 Riser Bond Model 1550 TDR Warranty: One year. Includes: Carry Bag, Riser Bond Model 1550 operating manual and batteries.